Early on a Saturday morning some people are still in bed, some people are just making breakfast and others are taking the day as it comes. Out of the early morning there is another group who gets up, pulls on their water resistant shoes, straps down their life vests and grabs their paddle. These folks are the elusive … Dragon Boaters. 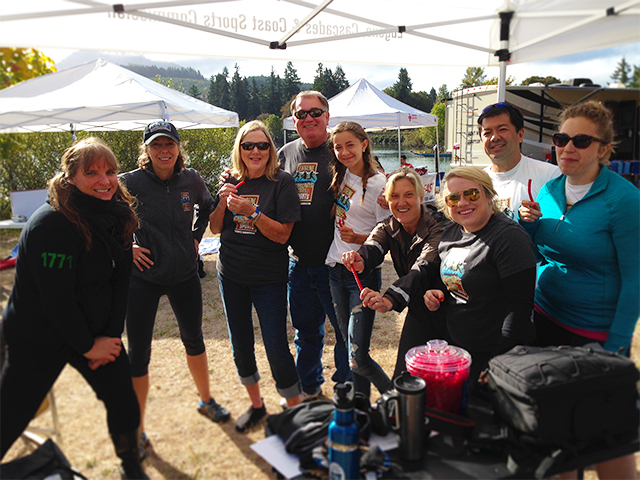 This past weekend was the 2nd Annual Heroes 2 Oregon (H20) Dragon Boat Paddle Challenge at Dexter Lake Recreation Site presented by Emerald City Dragon Boat Club. 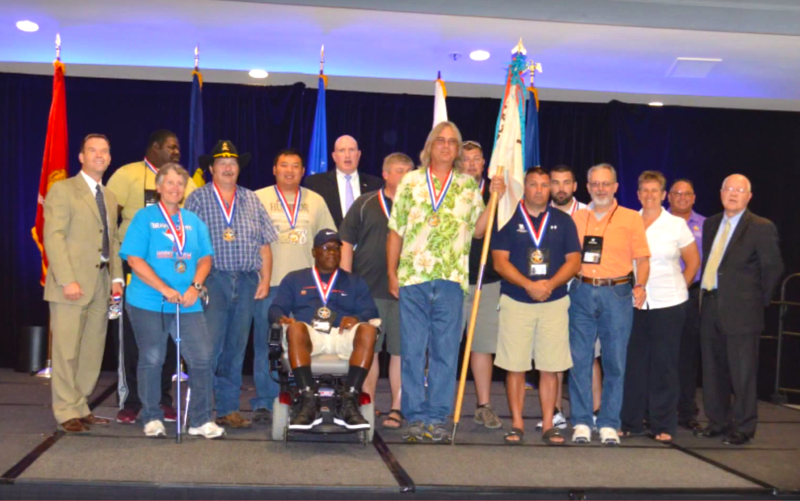 It brought together 18 teams with over 180 participants and spectators. There was a great mix of experienced paddlers and people who have never stepped foot in a Dragon Boat before, ourselves included. Eugene, Cascades & Coast Sports Commission Team - "Oar-A-Gon-Adventure-Crew"
This event raises money for an inspiring cause, the Eugene Parks Foundation Veterans Adaptive Sport Project. The project provides funding for injured, ill and disabled Veterans to be able to engage in adaptive sports all year long and encourage Veterans to stay active and live a healthy lifestyle. This year the H2O Dragon Boat Paddle Challenge raised $9,602.68 for the project. 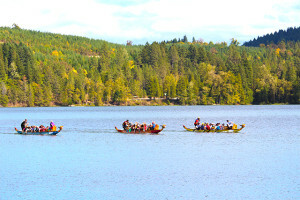 Dragon Boating is a Chinese tradition. 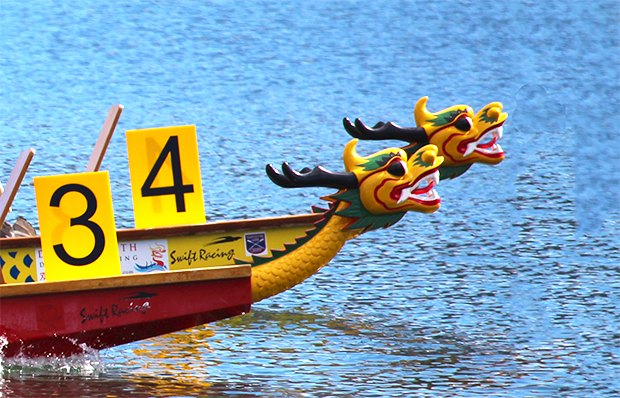 Dragon boat racing is one of the fastest growing team water sports in the world. Thousands of people participate in various organizations and clubs in more than 60 countries. 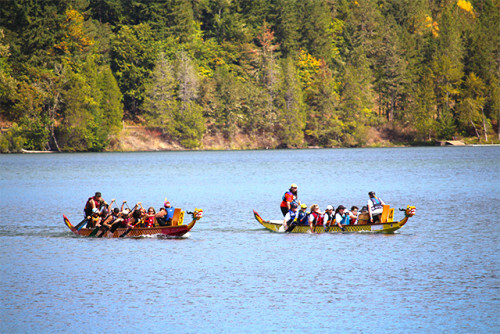 There are nearly 50 million people worldwide who currently take part annually in dragon boat races. The day couldn’t have been more perfect. The morning started off a bit chilly but by the time the sun came up fully over Dexter Lake it started to warm up. The water was fairly still and ideal for paddling. 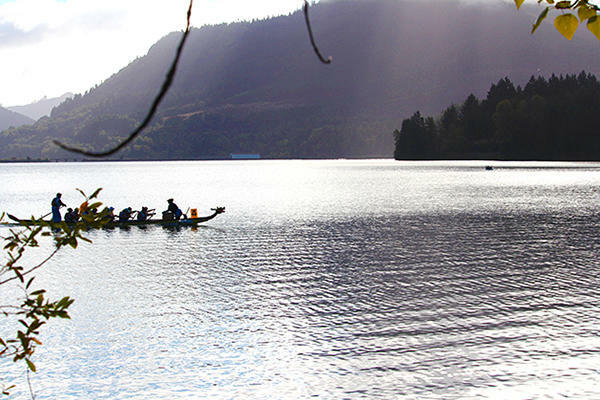 With the natural beauty of the Eugene, Cascades & Coast region, your sports event is guaranteed a gorgeous backdrop! I can&apos;t wait until next year! for more information on the next H2O Dragon Boat Paddle Challenge, follow the Emerald city Dragon Boating Club on Facebook . Stay tuned to the Sports Commission for news on future Dragon Boating events and details on a possible future event in Florence, Or! Want to make your boating event a reality, talk to us about planning your event on one of our 249 lakes! 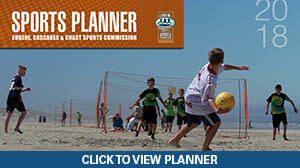 Contact the Eugene, Cascades & Coast Sports Commission today!